Does it look like mold? Do you smell an earthy odor? Are you worried about the levels your family could be breathing in? You might assume you have a mold problem, but without a laboratory analysis to verify, you simply don’t know. EDC Professional Home Inspections can help identify and analyze a mold problem in your home. Molds are an essential part of the environment; they break down dead organic matter. But when it grows inside your home, it can become toxic and growth should be prevented. The goal of a healthy home is to maintain mold levels lower and no higher than outside levels. There are many types of mold that reproduce by microscopic airborne spores. These can start growing from within the home when the spores float from outside and land on damp surfaces. Exposure from inhaling or touching spores can cause allergic reactions and irritation to the lungs, eyes, skin, nose and throat. Mold that's established within your home can gradually destroy the things it grows on, including home furniture and structural components. You can prevent damage to your home, save money, and avoid health problems by controlling unwanted moisture intrusion and eliminating potential growth. With a proper inspection, EDC can take air samples to identify the quality and potential problem within the home. We perform a visual inspection to identify areas with apparent growth and areas conducive to mold. With a surface sample we can visually verify an issue. 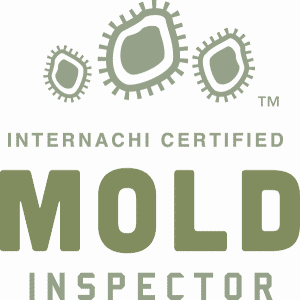 As a Certified Mold Inspector, we search for visible signs, conditions conducive to growth, and any visible damage resulting from these conditions. Air sampling is performed to search for spores that are not visible to the naked eye. Taking an air sample in your home can provide us with the evidence needed to identify and recognize the severity of a potential problem. We are trained and equipped to perform inspections utilizing air samples to collect the needed data. These samples are then sent to a certified lab for analysis. EDC Professional Home Inspections provide a MoldSafe Test Accuracy Guarantee for 90 days following the test results released from the lab. If the laboratory results are negative and no visible mold or moisture is reported, the agreement covers the remediation (removal) of visible mold on surfaces permanently installed in the subject property. This will happen during the course of the inspection, evaluation, or testing. 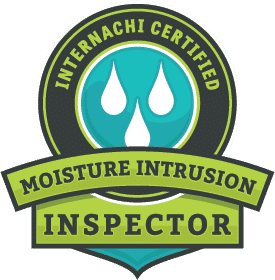 EDC Professional Home Inspections is a certified InterNACHI mold and moisture intrusion inspector. Call us at 407-417-2999 or email us for a free quote.